Ride Jason Ford pro model. Came in two lengths. Ride snowboards Jason Ford Pro Model with the Coyote graphic. This board graphic was printed without permission from Warner Brothers and they had to quit making it. 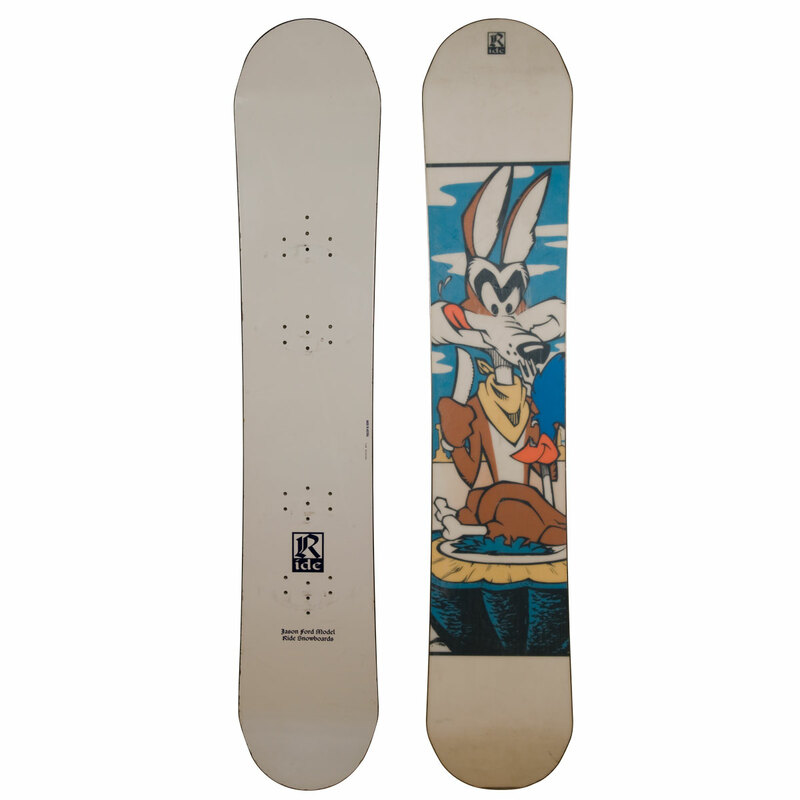 This board had a skate style steep kick nose and tail and was made to be used with the horseshoe baseless binding. This was the 2nd year for Ride and they came out with some really cool boards in this series.